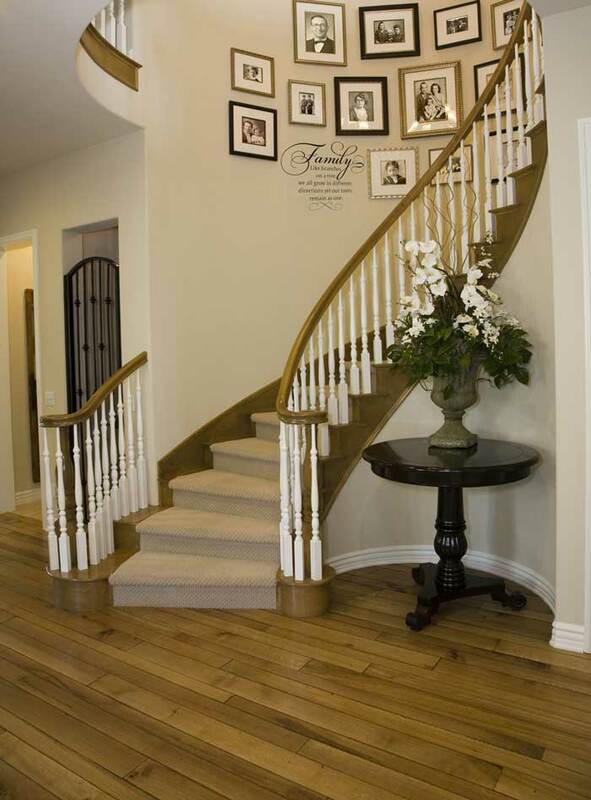 A family photo gallery at home is a great treasure keep and having a wall quote among these captured moments makes it more priceless and moving. Although the quote “family like branches on a tree” is from an unknown author, he or she surely is a person who knows the value of family belongingness. This wonderful wall lettering can fit in many special places in your home. You can give life and touch hearts in family gathering spaces such as in a kitchen, dining and living room or family room. 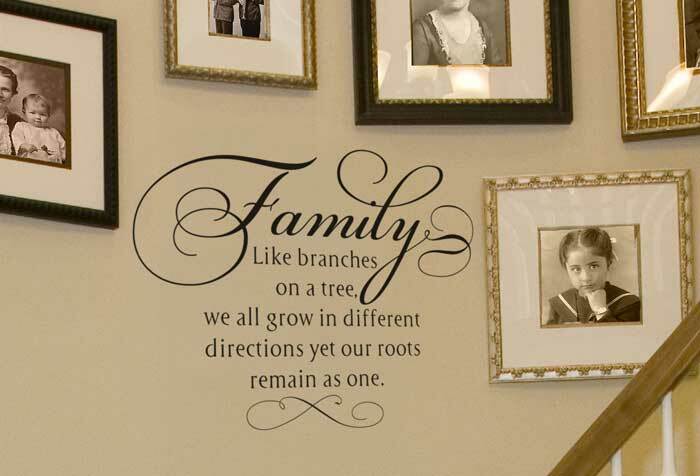 Spruce up your walls with family wall quotes beside dining tables, above the fireplace mantle, on stair wall landings or above entrance doors. 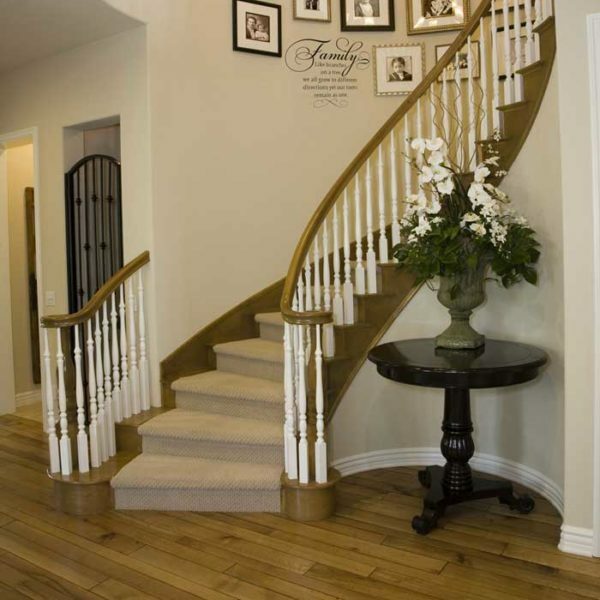 The lovely wall quote fits flawlessly with the winding stairs, bringing a dramatic quality and character. The use of Inspire lettering style for the letter F was just striking as it gives a timeless feel to the whole look and is enlarged to give emphasis and order for the wall. 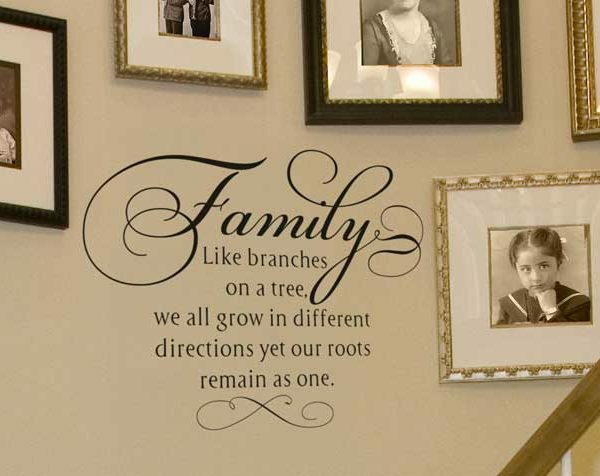 On the other hand, the lettering style Cyan which is used for the wall letterings “Family, like branches on a tree, we all grow in different directions yet roots remain as one brings in a modern quality to the wall decal. Your walls are perfect canvasses of a good décor and in DecorativeLettering we only offer excellent wall decals that are stylish and str the ightforward for application. 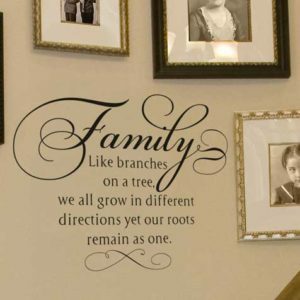 We have a gallery of design ideas that can inspire you in creating your personalized family wall quote.